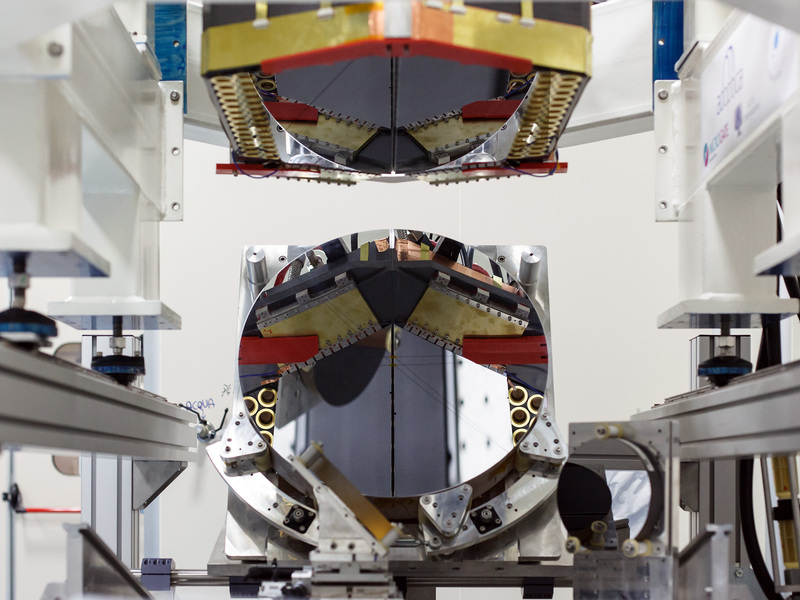 The M4 deformable 2.4-metre mirror forms a fundamental part of the E-ELT. 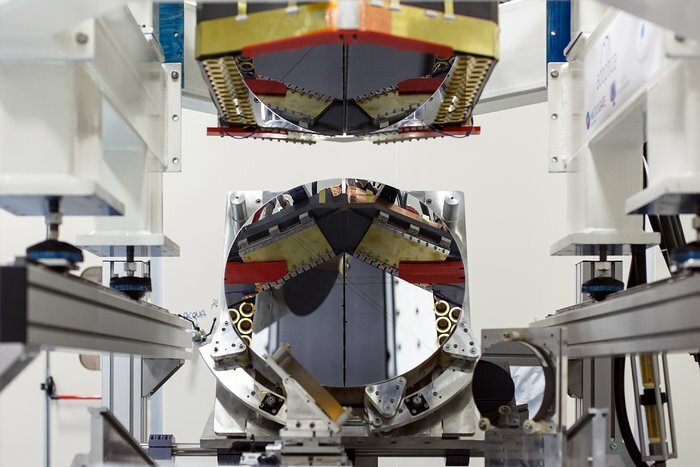 This complex collection of mirrors, actuators and control systems can correct the image distortion caused by the turbulence of the Earth’s atmosphere in real time, as well as correct for deformations of the structure of the main telescope caused by wind. 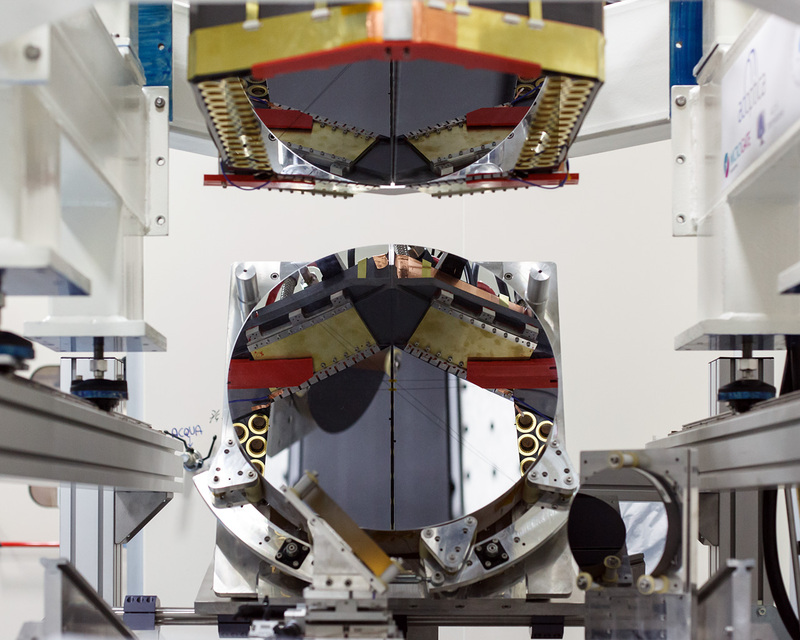 The corrected optical system will make the images obtained at the telescope almost as sharp as those taken in space. 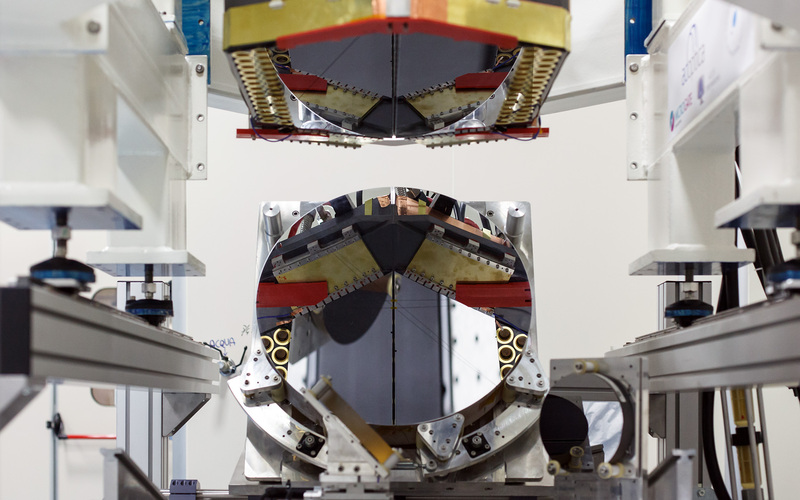 This picture shows the optical test of the M4 demonstration prototype.